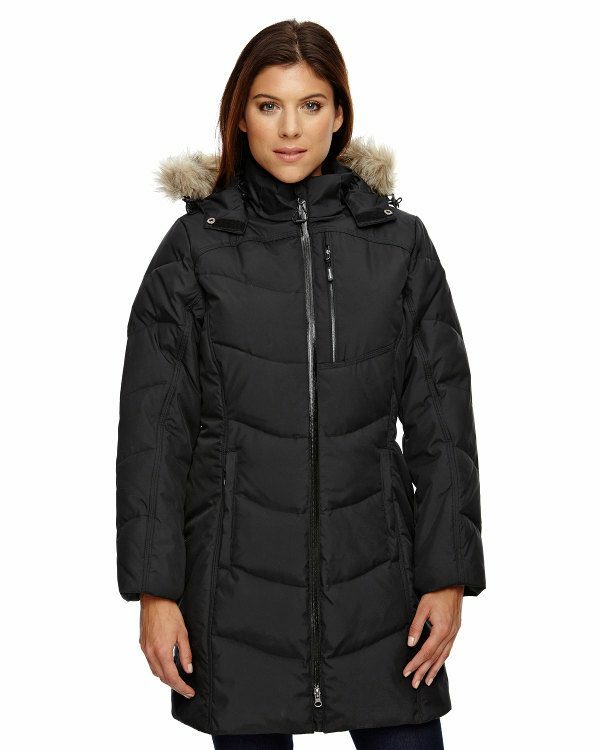 The Ash City – North End Ladies’ Boreal Down Jacket with Faux Fur Trim is available in Sizes XS-3XL. It can be purchased in your choice of the following colors: Black and Winter White. SKU: AB-78179 Categories: Activewear, Hooded Jackets, Jackets, Jackets, Ladies, Polyester Jackets, Water Resistant, Waterproof Jackets, Winter White, Women's Hoodies, Women's Clothing, Women's Jackets, Ladies Outerwear, Outerwear, Heavyweight Sweatshirts, Shop by Color, Black, White Tags: heavyweight sweatshirts, hooded jackets, ladies outerwear, polyester jackets, waterproof jackets, women's clothing, women's hoodies, women's jackets, women's water resistant jacket Brands: Ash City. This Ash City – North End Ladies’ Boreal Down Jacket is fully polyester taffeta with embossed print with water resistant finish and is perfect for active women.